wear your whites. take the green. What's On The Lawn All About? For four consecutive Thursday evenings starting July 25th, we invite Okanagan fun-seekers to step back in time, roll some bowls, sip a cool beverage, and have a truly awesome time. All proceeds go to Elevation Outdoors, whose mission is to enhance the lives of underprivileged youth via specially-designed outdoor programs. What's stopping you? Get your team together and sign up today! Did You Say Lawn Bowling? Yes we did! The aim of the game is simple. It's like bocce meets curling. Teams are comprised of 4 players with 2 bowls each. 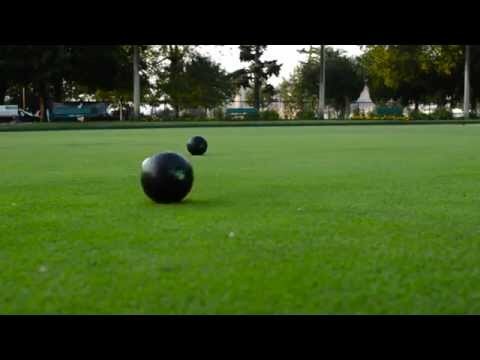 Roll your bowls as close as possible to a small white ball called the 'Jack'. It might sound easy, but the fact that the bowls do not travel in a straight line seriously adds to the tactical challenge. Yes, lawn bowls are weighted. Closest team to the Jack scores! All programs are to be offered to eligible youth free of charge as Elevation Outdoors believes that no young person should be denied the potential to discover an outdoor sport or pursuit that can help keep him or her motivated, healthy, and happy in life! Elevation facilitates programs year round. Registration for On The Lawn opens March 29th! *please join our database to ensure you don't miss out! ***SOLD OUT in 2015, 2016, 2017 & 2018! 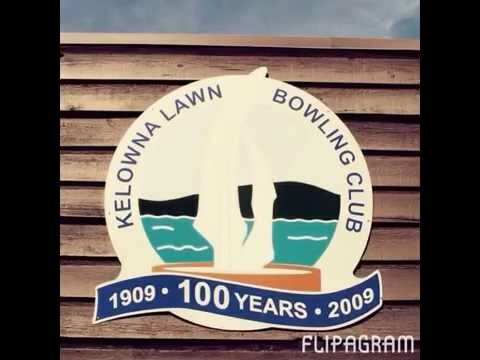 Grab yourself and your three best mates and sign up for three evenings of lawn bowling in Kelowna's City Park. Places are limited so get registered quickly to avoid missing out. All proceeds go to charity so you will be doing your good deed for the day while signing up to have a super swell time. With over 100 offices nationwide, BDO is one of the leading accounting and advisory firms in Canada with our strengths firmly rooted in the communities we serve. Our professionals combine personalized, local advice and service with national resources and experience. As a member firm of the international BDO network, they leverage the knowledge and experience of advisors from over 1,000 offices in more than 100 countries. BDO Canada LLP, a Canadian limited liability partnership, is a member of BDO International Limited, a UK company limited by guarantee, and forms part of the international BDO network of independent member firms. Bringing you the refreshing, smooth taste of 1516 and their new summer favourite, Honey Kolsch. Bringing On The Lawn Bowlers thirst-quenching cocktails and spirits. We're proud to have the support of Doak Shirreff for On The Lawn 2017! Thanks for your support, Brad! Questions? Potential Sponsor? Get in touch. This event typically sells out in a day! Mar 27, 2019 Media Release: Registration for On The Lawn 2019 opens on Friday March 29th! August 25, 2015 Kelowna BC -- Mary Anne Ocol of ShawTV Okanagan reports on On The Lawn.